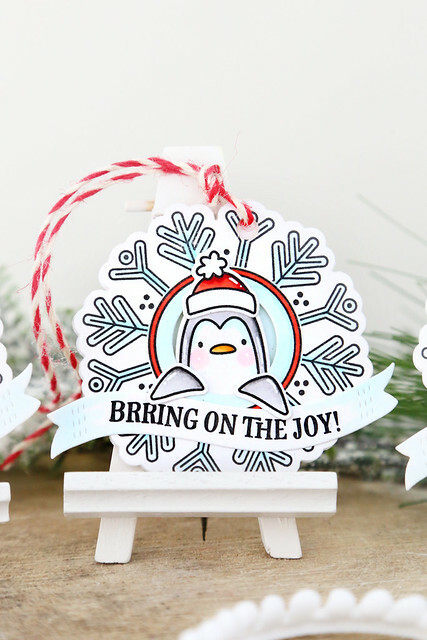 I used Avery Elle's Snow Tags stamp set and matching die, and brought in the cutie penguin from Polar Peek-a-boo Pals. I started out by stamping each snowflake in black ink onto white cardstock. 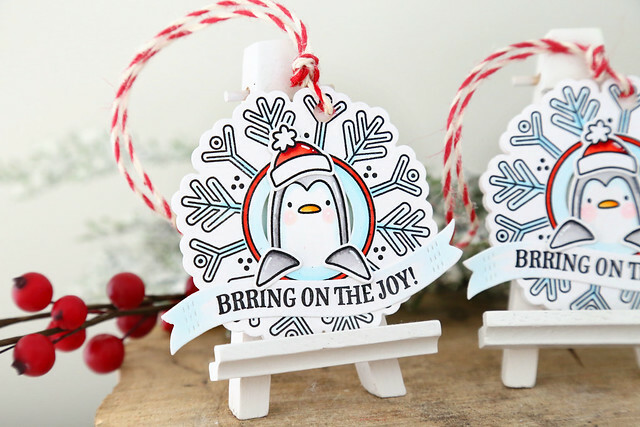 Then, I used a smaller circle die to cut out the middle of each snowflake so that the penguin could come popping out. I used B000 and B00 copic markers to color the snowflake and the inside of the circle, and colored the outer ring of the snowflake using an R24 marker. I love the extra pop that it gives! I colored the penguins using a combo of T0, T1 and T4 copic markers, and gave each penguin a banner flag to hold. 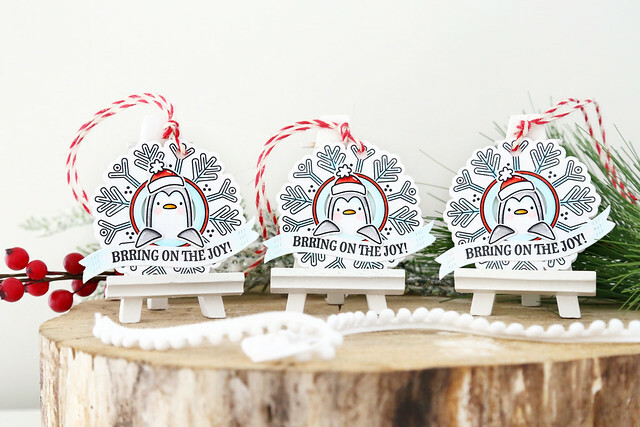 The sentiment is from another penguin set, Brring On The Joy. The banner die is from the Wonky Stitches Elle-ments set. I love the extra stitching lines on each end! I hope you like what I've made for you today - thanks for stopping by!